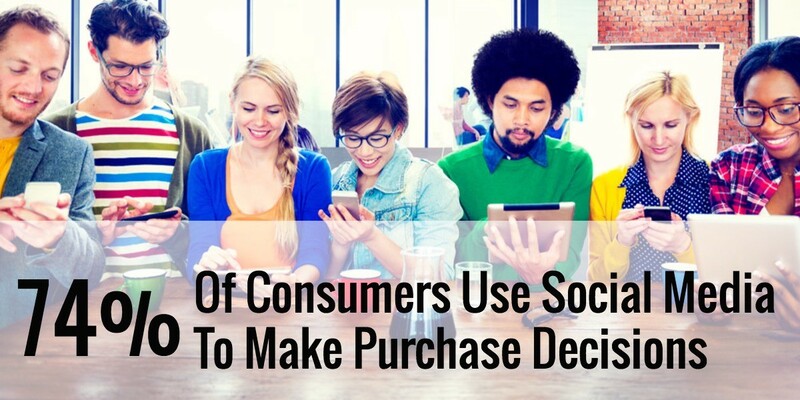 Last year the volume of messages sent from consumers to companies through social media channels increased by 21%. Being active in social is no longer a choice for an established business. People not only expect information about products and services to come to them but they also expect an immediate response when they communicate with a company through these channels. Social media is a way to establish a brand personality, connect on a deeper level with your customers, then manage and foster these valuable relationships until they become champions of your brand. Currently, Facebook has over 1 billion active users per a month and Twitter has 255 million users. That’s a lot of potential customers! Converting a new customer is highly dependent on being at the right place and time when the need for your product or service arises. We take the guesswork out of how, when, and where to connect with your target audience. Then we educate them on what makes you unique in your industry. Voila! Watch your business grow! Our team of social media veterans will develop a strategy and plan based on your company needs. We offer social media packages that are custom crafted to match your business goals. You’ve heard it before and it’s true now more than ever; content is King. To produce a constant stream of relevant, sharable content to your audience, we offer extensive industry-specific research to guide your content marketing decisions ensuring all communication is executed in a meaningful way through your social media to your networks. Particularly in social media posts where every words counts, the importance of wordsmithing, linking, tagging, hashtagging, etc. cannot be overstated for getting eyes on your content and driving customers through the sales funnel. We know how to craft creative posts and updates that will get clicks, likes and shares to keep your social media sites hoppin’ (and your SEO, too! ).